Aren’t you just sick and tired of hearing about Pat Tillman? So he went over to Afghanistan and got his head blown off. So did a lot of other American service men and women and their names never get mentioned. But just because this guy’s a football star he’s the hero du jour of the media. Get over it! Besides robbing us of his great performances on the field, there’s a lot more unsung heroes out there who’ll never get their day in the press. No. 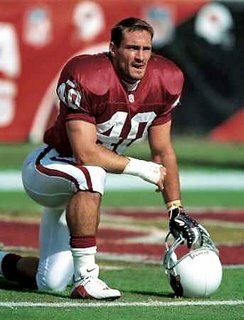 I for one am not sick of hearing about the late Patrick Daniel Tillman (1976-2004). If you ask me your definition of a hero is exceptionally skewed. Just because Tillman had a career in professional sports prior to enlisting in the armed forces should not discount the fact that as a man and a patriot, Tillman felt there were greater depths to his own human condition than committing himself to touchdowns and forward passes. 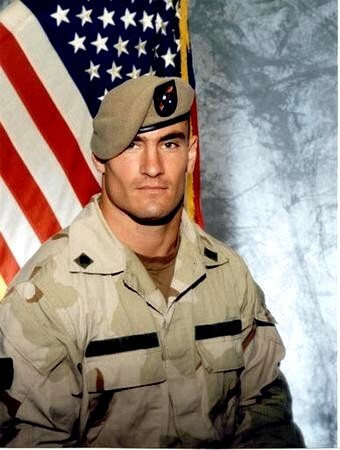 In my opinion that makes Pat Tillman more of a hero – not less. Think of it this way – he gave up his promising career to preserve a way of life for hundreds of thousands of others. How many of us would do the same under that identical circumstance? I don’t see any Grammy winning rap artist tough guys, or outspoken Hollywood liberals ditching their cushy lifestyles for a bayonet and some rapid fire out in the middle of no where. You’re point about other deceased service men and women not being in the public spotlight as much is perhaps well taken. And certainly I do not discount any man or woman who trades in their civilians for a chance to test and prove their metal on the battle field of honor. In a perfect world, every last one of these self sacrificing individuals would receive a ticker-take down Main Street and a life of wealth and privilege upon their return from service. But I think you’ve picked the wrong punching bag when you say that Pat Tillman isn’t one of the deserving. In the final analysis, Tillman did what he thought he had to. That decision tragically cost him his life. Friendly fire or not – I think Pat Tillman’s greatest sacrifice came long before he surrendered that life. To become a soldier he gave up personal vanity, ego, money, fame, popularity, pop culture escapism, and the selfish want that plagues most of mankind in doing whatever damn well pleases us at any particular moment in our own selfish lives. 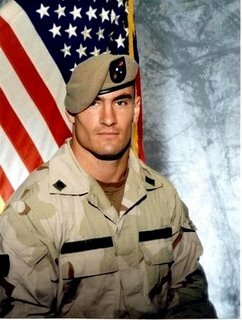 All this did Pat Tillman willingly and openly surrender for a chance to do something noble, grand, proud, independent and personally satisfying. We should be erecting statues to his like – not tearing his legacy to shreds. I would ask you to remember that we are all the benefactors of his great sacrifice – something you seem too willing to discount and far too ignorant to admit! I’m 16 and want to be a bodybuilder. I know they take steroids but I really want to be one bad. My father says it’s a silly thing to do with your life. What do you think? The question of ‘silliness’ ascribed to your dream is, in my opinion, moot. Mankind does all sorts of silly things in pursuit of personal dreams. For example: I’ve always thought stock car racing is silly. Imagine, a bunch of guys deliberately placing themselves in harms way for prize money and a silver cup. I mean, how juvenile. You can’t even classify it as sport. The car does all the work. My point is, what’s silly to one person may be deadly serious to the next. However, in the case of bodybuilding we are talking about your body that will be the machine getting abused. I’ll say this much for your dream – self image is always important. Boys look up to men for a host of reasons – but from an early age, boys tend to equate manhood with muscles. It’s just that simple. Somewhere in the back of your mind you’ve decided that if you have a hundred and sixty pounds of raw cut beef flexing from every angle you’ll be a force to be reckoned with and maybe a guy most any girl would absolutely love to date. However, there’s a huge difference between being in shape (meaning, being physically fit and healthy) and being a pro bodybuilder (not a very healthy specimen). All that extra poundage takes its toll on your lungs and heart. Consider that in order to grow to the size of the guys you’re admiring you’ll have to inject yourself with illegal substances that are accelerants. Steroids speed up muscle development. 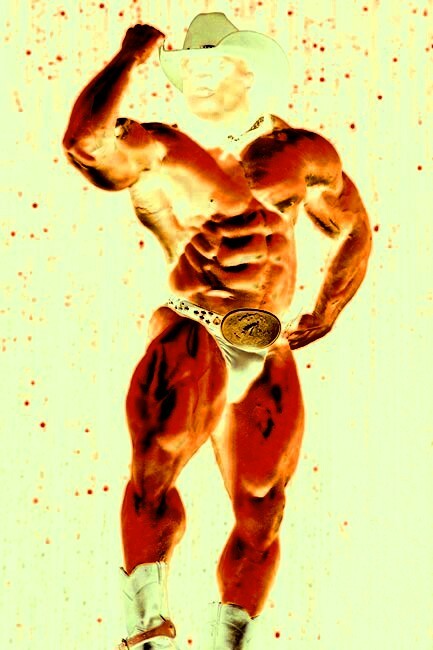 There’s no sense in saying – as some erroneous nay-sayers have attempted to – that steroids just don’t work. They do – spectacularly and quickly. You can turn yourself into the Incredible Hulk in less than three months. But here’s the wrinkle – instead of spending all this time considering whether or not you could do this ‘silly thing, why not invest a bit more reflection and research on whether or not you ‘should’! Steroids come with harmful side effects including blackouts, excessive acne, kidney, heart and liver damage. There’s also extreme bouts of depression and manic/depressive behavior, and, the dreaded ‘roid rage’ that need to be overcome. The naiveté of “Oh well, I’ll just be careful…” or “That won’t happen to me…” is a strong enticer to just grab the closest syringe and juice up. 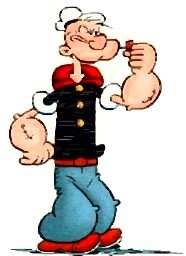 I suspect that at 16 you’re suffering from the Popeye syndrome. You want to be a tough guy but when you look in the mirror you only see a ninety-eight pound weakling staring back at you. If that’s the case, I’m in favor seeing a nutritionist and hitting the gym to tone and sculpt what genetics gave you to its fullest potential – without drugs! a real man is measured not by the size of his bicep or pecs but by the size of his heart – and not an artificially enlarged one. It’s simple. My definition of a hero is just an ordinary person who does ordinary things without first considering the extraordinary impact he or she might have on someone else’s life. Selflessness is a quality in short supply these days. Any man or woman who indulges in random acts of kindness without expecting anything in return is my hero. So do something for someone today without first thinking about whether or not it’ll benefit you in the long run. Then you’ll not only be my definition of a hero, but one you can look at with pride in the mirror. Expect great things from yourself first. I always do. The rest will follow. What’s your idea of a patriot? 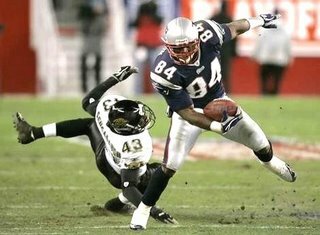 …someone who does more with their life than play for New England. 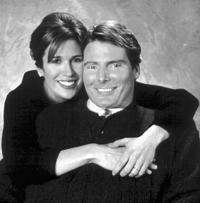 Try Christopher and Dana Reeves on for size. Even the words integrity, spirit and positivism seem grossly inadequate to sum up their heroic lives. What’s more important – honesty or integrity? They’re equally important. In my opinion, one doesn’t exist without the other. Ask yourself this question – have I made it through today without impacting someone else’s life in a way that is harmful, insulting or damaging to the human condition? We’re all human, Dennis. Everyone has impure thoughts at least a zillion times a week. At varying points in this great motorcade called life we hate ourselves, our coworkers and our family. We have fantasies about taking a good whack at someone or someone’s reputation. There’s nothing new or particularly ‘evil’ about any of this behavior. But consider this, if you will - for just a moment. No one (except perhaps a psychotic) starts out wanting to be hated by a group of his/her peers. Everyone wants to be liked. But everyone has their days. Perhaps you’ve caught an otherwise good and honest person in a less than stellar moment from their lives and they haven’t given you a good impression of themselves. So what? Nobody’s perfect. A big person will recognize that fallibility of others because it exists in all of us. Forgive it without apprehension and move on to behaving in a manner that will benefit all those standing in close proximity to you. If you’re honest with yourself you’ll realize that your integrity has been tested in the past and not always have you risen to the challenge. You shouldn’t dwell on those failed moments. But you should always go forth with the understanding that before you sunk to that less than stellar moment in your own life - you at least gave it your best shot to rise to the occasion. Life’s a score card. As long as your positives outweigh your negatives, in my book, you’re playing for the winning side! I am realy impresed by your thoughtful comments. 2ndly I am going to put this on my blog "Life’s a score card. As long as your positives outweigh your negatives, in my book, you’re playing for the winning side!" Hope you don't mind. But even if you do I can not help you as I love reading quotes.